We've got you covered! First, log into your account and select the "Billing"tab on the left hand side of the screen. 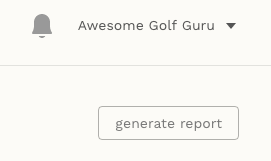 After pulling up the "Billing" page you will find a button that says "Generate Report" under your name on the upper left hand side of the screen. 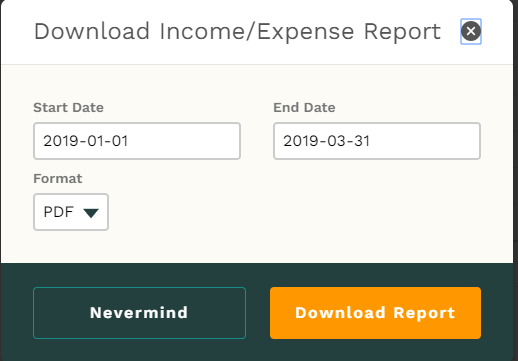 Click this button and select the range of dates you would like your report to cover. you can choose to download in a CSV or PDF format. Doing this will create and download a CSV or PDF file to your desktop. You can open this file using a program like Microsoft Excel or Google Sheets. The report will include a record of all of your appointments, payments/fees/refunds, and the clients involved for the selected dates.